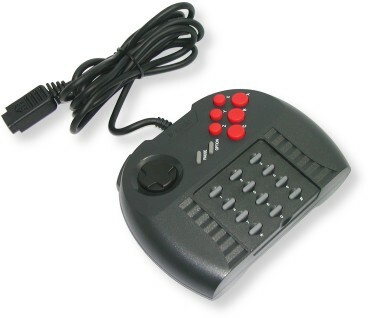 The Atari Jaguar Pro Controller is similar in appearance to the standard Jaguar controller, but adds three new action buttons (X, Y, and Z) as well as two shoulder buttons (L and R) at the top of the unit. These new buttons are mapped from the existing numeric keypad buttons. The Pro Controller is compatible with all Jaguar games, but some games, such as Primal Rage were designed with the Pro Controller in mind. However, some games that were created before the Pro Controller arrived can still take advantage of the new keys if they used the numeric keypad.